I had never really paid any attention to those little cookies called "langues de chat", until the other day when I was offered some with my coffee. All of the sudden I realized that they taste almost exactly like a Nilla Wafer. Put two of them together and you can hardly tell the difference. 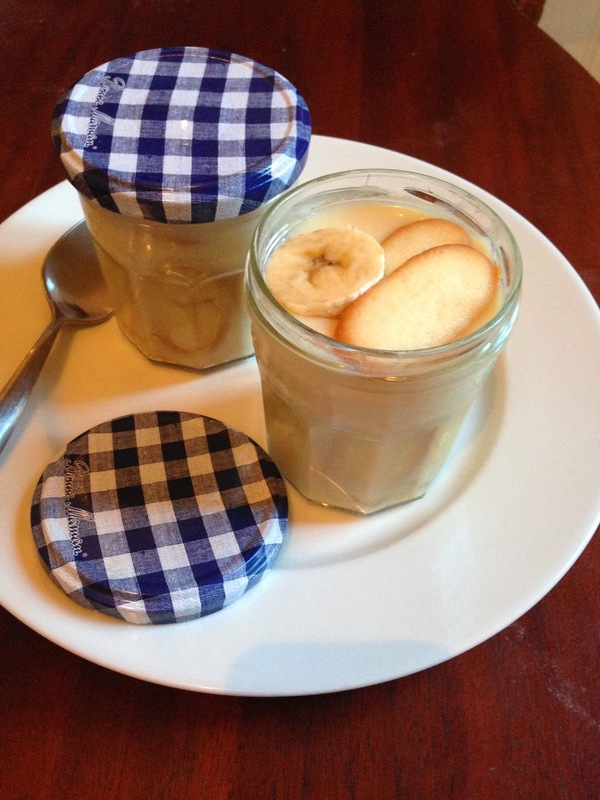 I had to make some banana vanilla wafer pudding. I didn't have a pretty dish to put it in, but that didn't stop me. The pudding turned out really great. It reminds me of desert at grandma's house after one of her nice chicken dinners.